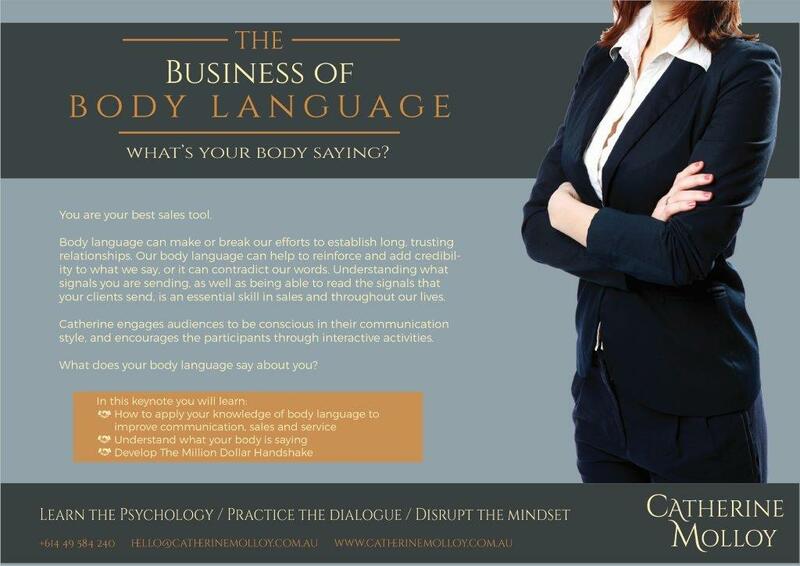 Catherine knows when and where to motivate and add energy with each talk and workshop delivered. The participants will engage, connect and be more conscious of their own energy language. Fun, Fast and Forward-Thinking. Participants will feel empowered and motivated to practise until perfect and to share this knowledge with others. Participants will continue to practise their newly found skills on each other throughout the conference and into the workplace. Once something is learned it is hard to unlearn. Participants will be taught the power of communication through different techniques to help anchor new skills that will create a lasting impression, first time, every time. 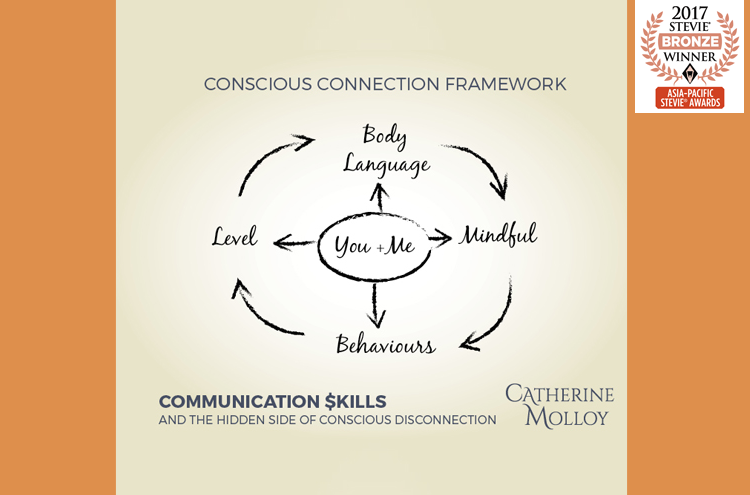 The conscious communication framework is a practical tool that once implemented in business inspires confidence, staff happiness, growth and customer satisfaction. 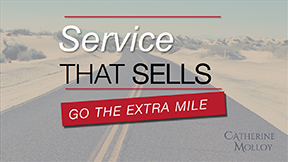 It’s the tiny changes that make the massive difference for Sales, Service and Leadership. What do your first 7 seconds say about you? 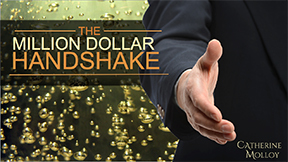 Your handshake is absolutely imperative in your communication. How you orchestrate your first impression will determine whether the client or customer wants to do business with you. For this reason we are now sharing the secrets of receiving the power through the handshake as we hack your meet and greet. 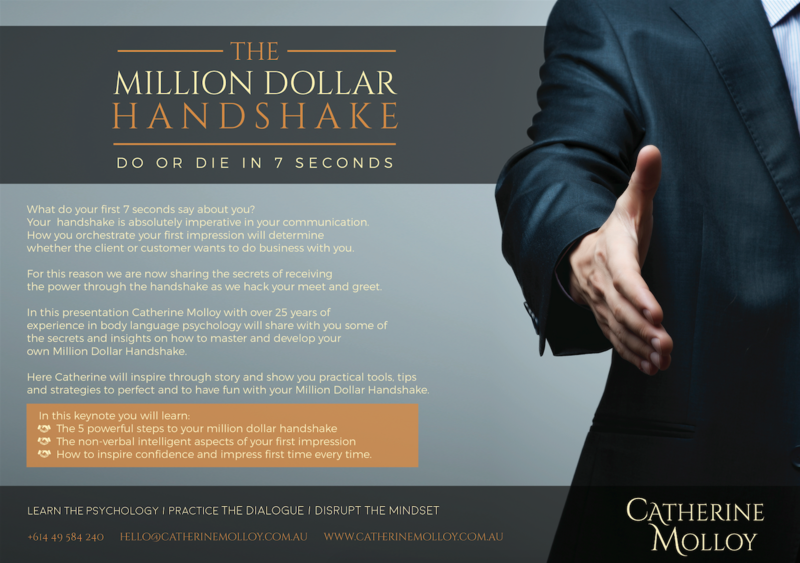 In this presentation Catherine Molloy with over 25 years of experience in body language psychology will share with you some of the secrets and insights on how to master and develop your own Million Dollar Handshake. 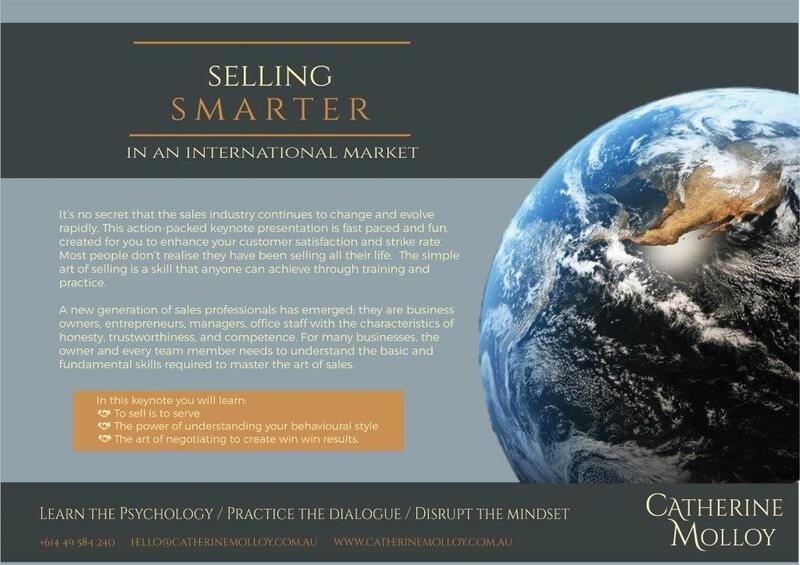 Here Catherine will inspire through story and show you practical tools, tips and strategies to perfect and to have fun with your Million Dollar Handshake. How to inspire confidence and impress first time every time. 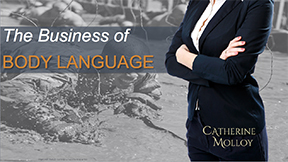 Catherine will be sharing her insight and advice on how to work effectively across cultures. 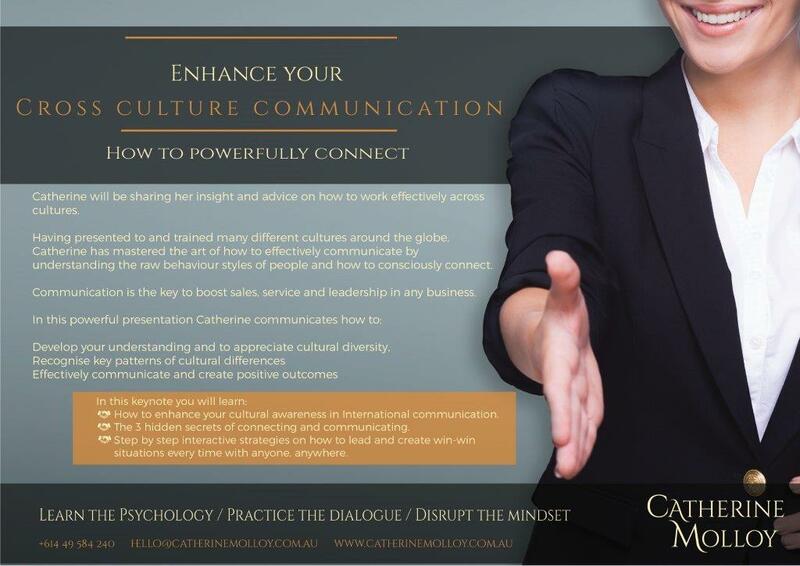 Having presented to and trained many different cultures around the globe, Catherine has mastered the art of how to effectively communicate by understanding the raw behaviour styles of people and how to consciously connect. 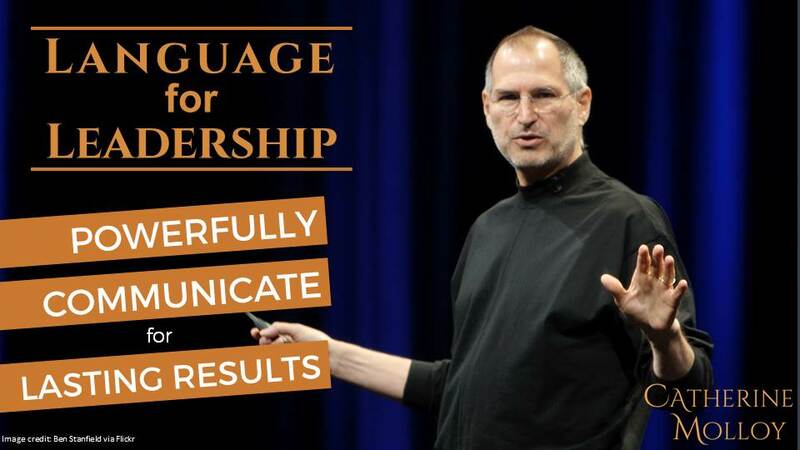 Communication is the key to boost sales, service and leadership in any business. 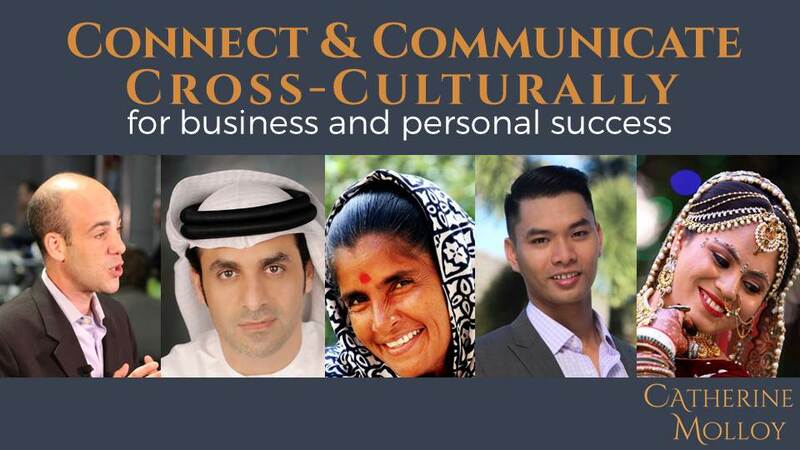 How to enhance your cultural awareness in International communication. The 3 hidden secrets of connecting and communicating. Step by step interactive strategies on how to lead and create win-win situations every time with anyone, anywhere. 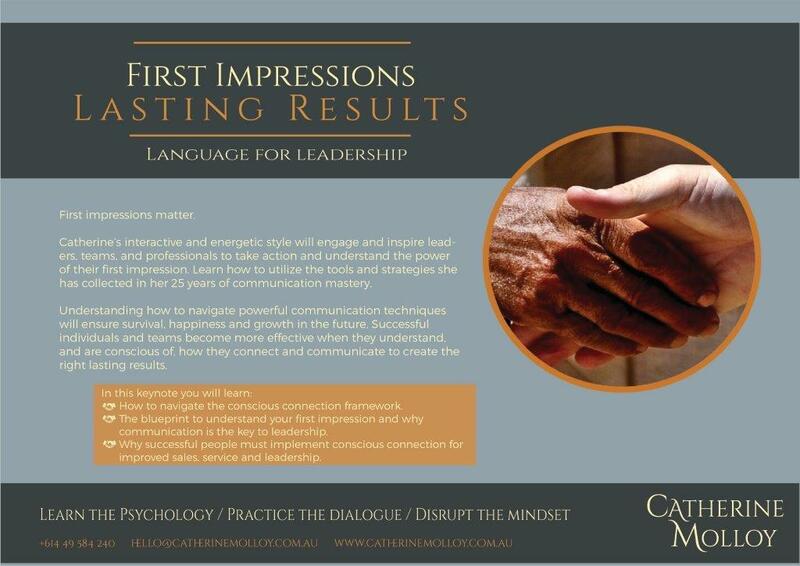 Catherine’s interactive and energetic style will engage and inspire leaders, teams, and professionals to take action and understand the power of their first impression. Learn how to utilize the tools and strategies she has collected in her 25 years of communication mastery. Understanding how to navigate powerful communication techniques will ensure survival, happiness and growth in the future. Successful individuals and teams become more effective when they understand, and are conscious of, how they connect and communicate to create the right lasting results. How to successfully navigate the conscious connection framework. It’s no secret that the sales industry continues to change and evolve rapidly. This action-packed keynote presentation is fast paced and fun, created for you to enhance your customer satisfaction and strike rate. Most people don’t realise they have been selling all their life. The simple art of selling is a skill that anyone can achieve through training and practice. A new generation of sales professionals has emerged; they are business owners, entrepreneurs, managers, office staff with the characteristics of honesty, trustworthiness, and competence. For many businesses, the owner and every team member needs to understand the basic and fundamental skills required to master the art of sales. The art of negotiating to create win win results. 3291 Financial Literacy committee . Employment Consultant EPIC Employee Inc.
Do you sometimes feel you haven’t connected in the way you would like? Our customer service workshops are contextualised to your business needs we offer half day, full day and even two day interactive workshops.Customer service is about recognising and appreciating differences and understanding the hidden meaning in body language. All too often the customer feels like they are being ‘pushed’ into buying a product. Service people need to ask the right questions & know how to lead the conversation naturally towards the benefits of the customer. Most people don’t realise they have been selling all their life. 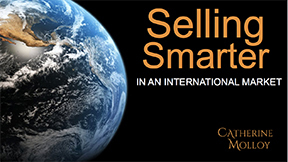 The simple art of selling is a skill that anyone can achieve through practice and our training workshops. You are your best sales tool. Catherine engages audiences to be conscious in their communication style, and encourages the participants through interactive activities. Would your team like a little pick me up? 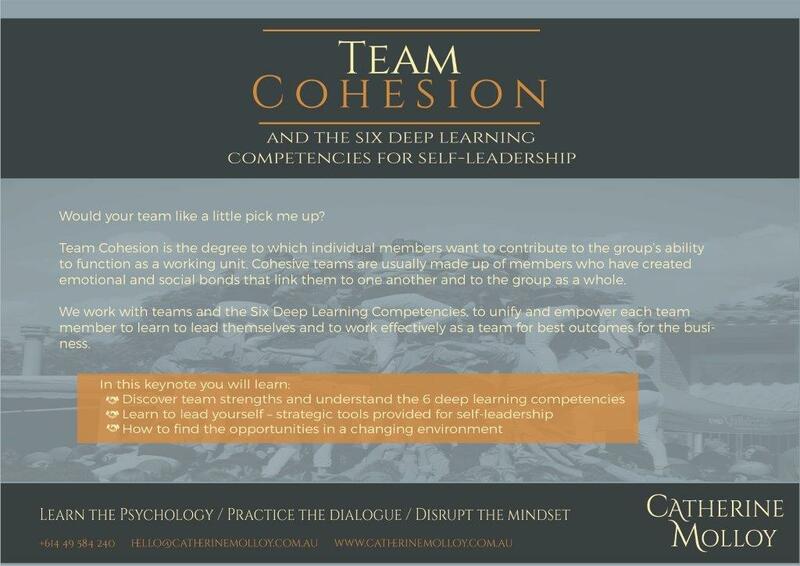 Team Cohesion is the degree to which individual members want to contribute to the group’s ability to function as a working unit. Cohesive teams are usually made up of members who have created emotional and social bonds that link them to one another and to the group as a whole. 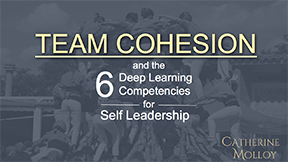 We work with teams and the Six Deep Learning Competencies, to unify and empower each team member to learn to lead themselves and to work effectively as a team for best outcomes for the business. 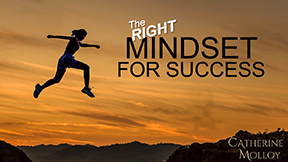 Successful business-people, top level athletes and achievers in all fields set their own goals. Setting goals gives you long-term vision and motivation for the present and the future. 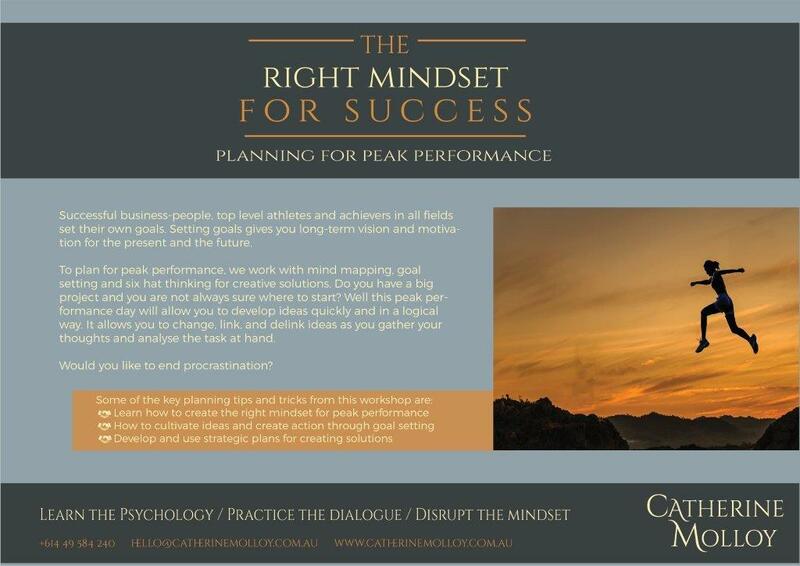 To plan for peak performance, we work with mind mapping, goal setting and six hat thinking for creative solutions. Do you have a big project and you are not always sure where to start? Well this peak performance day will allow you to develop ideas quickly and in a logical way. It allows you to change, link, and delink ideas as you gather your thoughts and analyse the task at hand.